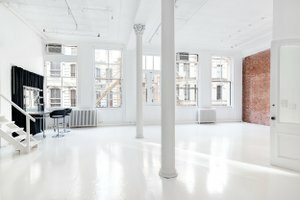 This spacious loft is located in lively SoHo and is perfect for your next Fashion Showroom, Photoshoot, Corporate Meeting or Workshop. The studio features 15' ceilings with original tin and floor to ceiling windows with amazing northern light. With two newly renovated private bathrooms, a beautiful kitchenette, a coffee, and espresso maker, WiFi, a wireless printer and a Bose sound system with Bluetooth wifi connection, this space is well equipped for whatever your needs may be. There is also a comfortable lounge area including a dining/work table. 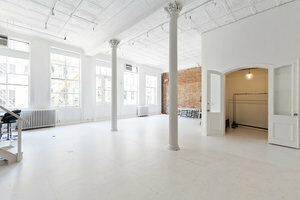 This space is ideal for hosting an unforgettable showroom or event. 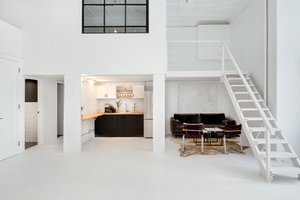 This studio loft is up one flight of stairs- there is no elevator. We promise it's worth it! 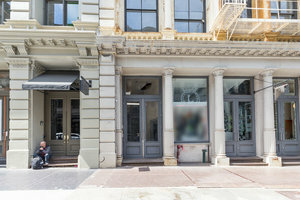 Located in one of the busiest and most fashionable areas of Manhattan, this loft is in a prime location, perfect for engaging with customers, colleagues and other businesses.